If you have already started playing around SQL Azure you will have probably stumbled on the limitation the SQL Management studio has. So I think you’ll find SQL Azure Explorer rather useful till Microsoft synchronizes its toolset with the Azure platform. 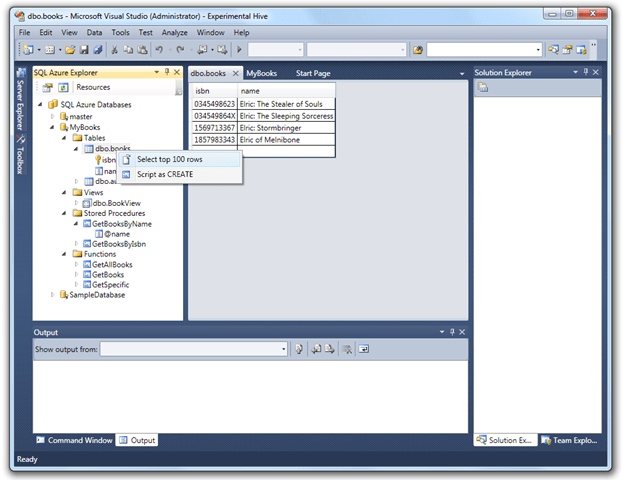 SQL Azure Explorer is an addin for Visual Studio 2010 Beta 1 that will enable you to manage you SQL Azure Tables just live the Visual Studio Server explorer.